Boxing can be used as a self-defense. With a routine workout and the right commitment, women can defend themselves if there’s any dangerous or if you’re in an unwanted situation. The speed of boxing can give your opponent a disadvantage when they want to attack you. Boxing is one of the most exhausting workouts out there. 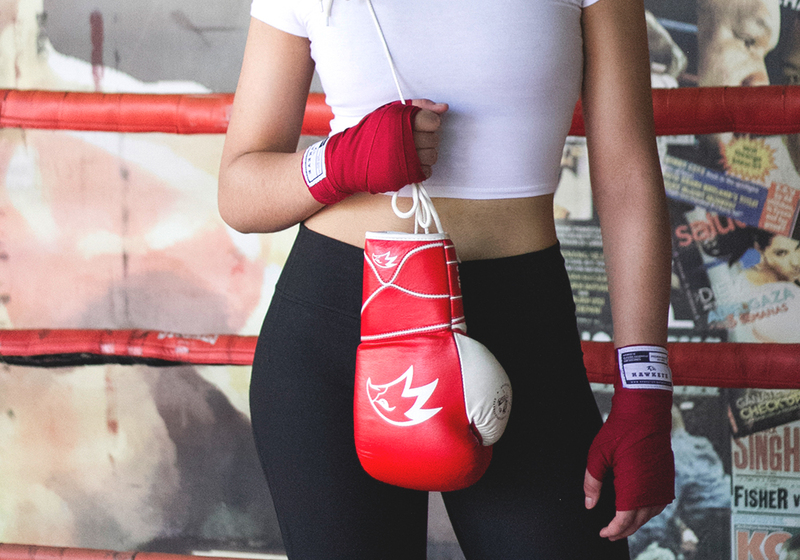 For women who are focusing on weight loss, boxing can burn approximately 200-300 Calories per hour. Other than that, boxing can also increase your heart and lung health. The more you routinely do it, your heartbeat becomes more regular and your lungs will work more effectively. In a long term, this exercise can make you more healthy. Boxing can also strengthen your core muscles, core is the are that starts from the bottom part of your chest muscle, abs, back until the area around your hips. The core muscle functions to stabilize and protect your backbone. All the moves while doing boxing, both defensive and offensive moves, can really strengthen your core muscles. Core muscle workout will be very advantageous to get you in shape and to create abs. Boxing advantages for core muscles also can help you to get the best body posture. Getting the flexibility and stability of your abdominal and back muscles and also your backbone by boxing can also reduce your spinal wear out and also sharpen you soft motoric nerves. This can make you react faster on sudden movements and be stable even in an unstable surfaces. In the end, your posture and balance will protect you from injury. Generally, women have big and saggy arms, because genetically, women keep more fat compared to men. Boxing moves focuses on the muscles on your arms, like triceps, biceps, and shoulder, which helps with your upper body strength and also tauten your arms. Boxing advantages for women don’t stop as physical health. Hitting punching bags or sparring with your friends can also make you able to control your emotions in a healthier way because this can reduce your stress.